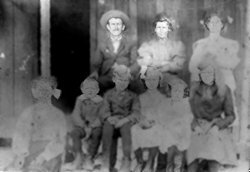 Andrew Jonas (1869 - 1951) and Callie (Whittle) (1874 - 1952) Vanderheiden and seven of their eight children: Sidney, Earl, Bess, Eller, Bennie, Louie and Lucille. 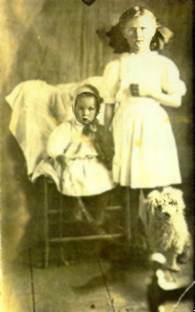 This picture was taken prior to July 1911, when their son Clarence was born. 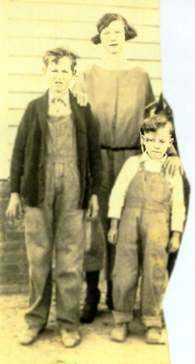 Earl and Louie, their sister Bennie standing behind them. 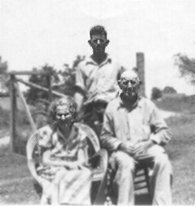 Callie and Jonas, seated, their son Louie standing. 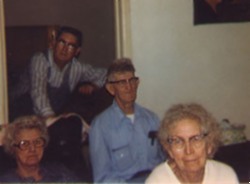 Four children of Jonas and Callie Vanderheiden: Bennie (in front), Lucille and Louie, Clarence (in back).